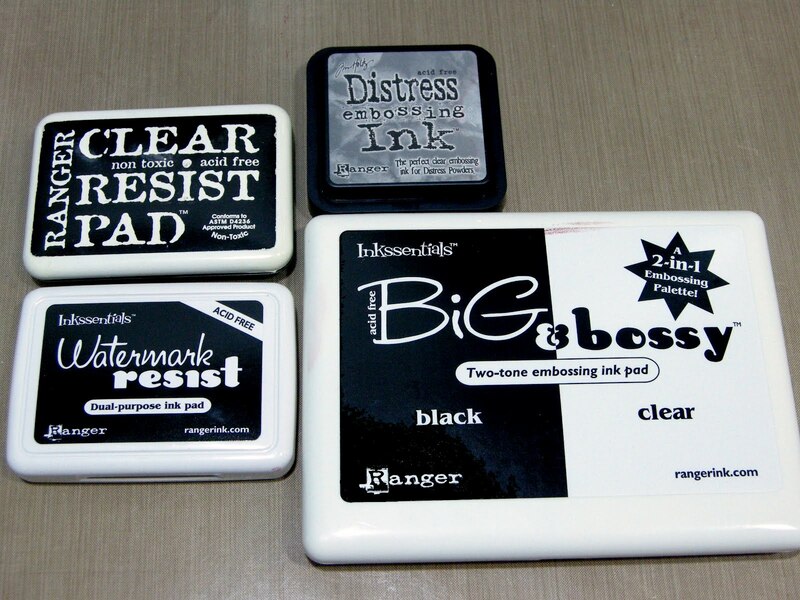 Right now, Ranger has released 4 colorless ink pad, which is Embossit ink, Watermark /resist ink，distress embossing ink, and Perfect Medium.I have recieved many question concerning the differences between them, and more often be asked, how do they compare with VersaMark. Therefore, I think I would do some test and list their feature here. 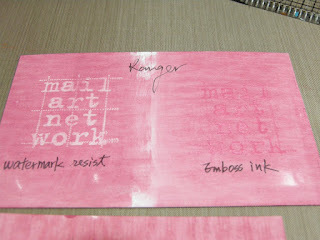 1.Embossit ink: water base. There are two choices, clear or tinted. designed only for embossing. 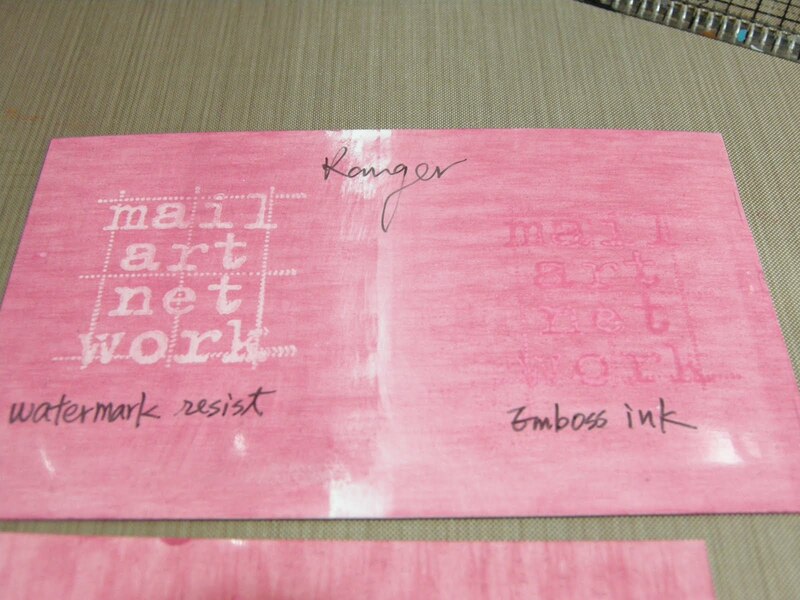 2.Watermark /resist ink: oil base, use to achieve the resist effect. It can also be used as a embossing ink. 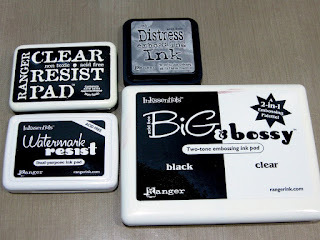 3.distress embossing ink: glycerine/water base(Ranger didn't mark it very clear), specially designed for Distress embowssing powder to allows for the ideal amount of “release” . 4.Perfect Medium: oil base, very concentrate medium. 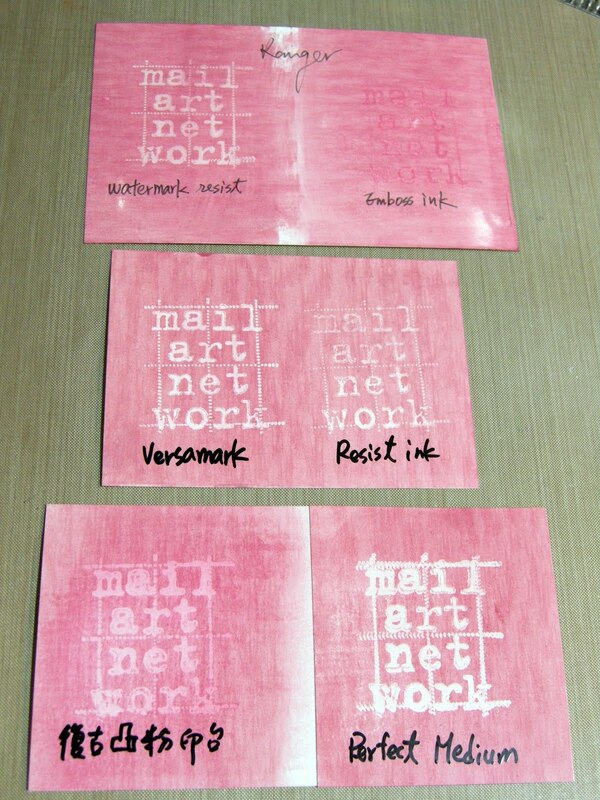 It will stick more perfect pearl than others(includes Versamark) It can also be used as a resist ink or embossing ink but it will take much longer time to dry on glossy paper. 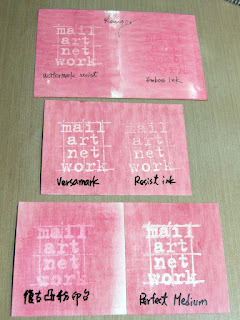 Here are some pictures showing the resist effects using these 4 ink pads and VersaMark.